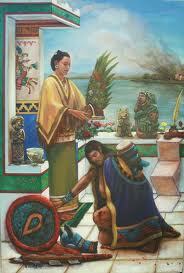 We respect and honor our Elders by listening to our Grandmothers and Grandfathers,. If you listen, you will hear them, for they are still with us and within them lies the wisdom and teachings of Our People. “We did not think of the great open plains, the beautiful rolling hills, and the winding streams with tangled growth, as ‘wild’. Only to the white man was nature a ‘wilderness’ and only to him was the land ‘infested’ with ‘wild’ animals and ‘savage’ people. To us it was tame. Earth was bountiful and we were surrounded with blessings of the Great Mystery. Not until the hairy man from the east came and with brutal frenzy heaped injustices upon us and the families we loved was it ‘wild’ for us. When the very animals of the forest began fleeing from his approach, then it was that for us the ‘wild west’ began.”- Chief Luther Standing Bear of the Oglala band of Sioux. Note that the idea of nature being ‘wild’ and an evil adversary to man is a puritan concept, brought to the Americas with the arrival of the well known ‘pilgrim’. It is likewise the puritan ideology which partly branded the Native American as a savage and pagan. “The great spirit is our father, but the earth is our mother.She nourishes us; that which we put into the ground she returns to us, and healing plants she gives us likewise.If we are wounded, we go to our mother and seek to lay the wounded part against her, to be healed.Animals too, do thus, they lay their wounds to the earth.When we go hunting, it is not our arrow that kills the moose however powerful be the bow; it is nature that kills him. The arrow sticks in his hide; and, like all living things the moose goes to our mother to be healed. He seeks to lay his wound against the earth, and thus he drives the arrow farther in. Meanwhile I follow. He is out of sight, but I put my ear to a tree in the forest, and that brings me the sound, and I hear when the moose makes his next leap, and I follow.The moose stops again for the paint of the arrow, and he rubs his side upon the earth and drives the arrow farther in. I follow always, listening now and then with my ear against a tree. Every time he stops to rub his side he drives the arrow father in, till at last when he is nearly exhausted and I come up with him, the arrow may be driven clean through his body… “- Bedagi, “Big Thunder” of the Wabanakis NationAbove we see that to send an animal to it’s death is to send it home to it’s mother, and through observation of the animal as a living and conscious being, we recognizes it’s suffering and its appeals to mother earth for relief in the form of death. It is recognized that to kill an animal was to become a relative of that animal, as you recognize within it’s moment of death, your own mortality and relationship as children of the same mother. Dreams have always been an important part of my life… Dreams guide you; they show you the way that you should be living, or the direction, or give you signs to help someone else. They are gifts. “My people are few. They resemble the scattering trees of a storm-swept plain… There was a time when our people covered the land as the waves of a wind-ruffled sea cover its shell-paved floor, but that time long since passed away with the greatness of tribes that are now but a mournful memory… To us the ashes of our ancestors are sacred and their resting place is hallowed ground. You wander far from the graves of your ancestors and seemingly without regret. Your religion was written upon tablets of stone by the iron finger of your God so that you could not forget. The Red Man could never comprehend or remember it. Our religion is the traditions of our ancestors — the dreams of our old men, given them in solemn hours of the night by the Great Spirit; and the visions of our sachems, and is written in the hearts of our people.Your dead cease to love you and the land of their nativity as soon as they pass the portals of the tomb and wander away beyond the stars. They are soon forgotten and never return. Our dead never forget this beautiful world that gave them being…and when the last Red Man shall have perished, and the memory of my tribe shall have become a myth among the White Men, these shores will swarm with the invisible dead of my tribe, and when your children’s children think themselves alone in the field, the store, the shop, upon the highway, or in the silence of the pathless woods, they will not be alone. In all the earth there is no place dedicated to solitude. At night when the streets of your cities and villages are silent and you think them deserted, they will throng with the returning hosts that once filled them and still love this beautiful land. The White Man will never be alone.Let him be just and deal kindly with my people, for the dead are not powerless. Dead, did I say? 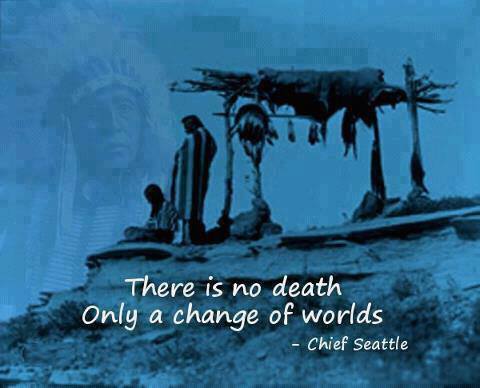 There is no death, only a change of worlds.”- Chief Seattle, Salishan Indian and chief of the Dwamish tribe of the Pacific Northwest addressing the Governor Isaac Stevens at the signing of a treaty. “Everything as it moves, now and then, here and there, makes stops. The bird as it flies stops in one place to make its nest, and in another to rest in its flight. A man when he goes forth stops when he wills. So the god has stopped. The sun, which is so bright and beautiful, is one place where has stopped. The moon, the stars, the wind, he has been with. The trees, the animals, are all where he has stopped, and the Indian thinks of these places and sends his prayers there to reach the place where the god has stopped and win help and a blessing.”- OhiyesaAll things are conscious and are of the same spirit. Even inanimate objects, such as mountains, are considered to be the body of a higher being. You have noticed that everything an Indian does is in a circle, and that is because the Power of the World always works in circles, and everything tries to be round.In the old days when we were a strong and happy people, all our power came to us from the sacred hoop of the nation and so long a the hoop was unbroken the people flourished. The flowering tree was the living center of the hoop, and the circle of the four quarters nourished it. The east gave peace and light, the south gave warmth, the west gave rain, and the north with its cold and mighty wind gave strength and endurance.Everything the Power of the World does is done in a circle.The sky is round, and I have heard that the earth is round like a ball, and so are all the stars. The wind, in its greatest power, whirls. Birds make their nests in circles, for theirs is the same religion as ours.The sun comes forth and goes down again in a circle. The moon does the same, and both are round. Even the seasons form a great circle in their changing, and always come back again to where they were.The life of a man is a circle from childhood to childhood, and so it is in everything where power moves.Our tepees were round like the nests of birds, and these were always set in a circle, the nations hoop, a nest of many nests, where the Great Spirit meant for us to hatch our children.…”- Hehaka Sapa, ‘Black Elk’Black Elk remains one of the most important historical figures for Native Americans due to the fact that he survived actual battles as a Lakota Indian, and lived to an old age, where he was approached by a journalist (who he had a premonition would come to him) – this journalist collected all of Black Elk’s stories and published them in the book ‘Black Elk Speaks’ which remains one of the most significant spiritual documents in Indian culture. Black Elk became a powerful medicine man, and as a boy had numerous out of body experiences and visions, including visions of the skies being traversed by airplanes leaving ‘webs’ (chemtrails?). 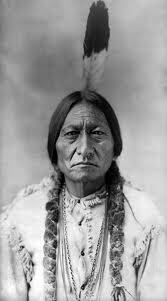 In his later years he joined Buffalo Bill and even traveled to Europe to dance in front of the Queen of England… upon returning to the Americas however, he became secluded on the Pine Ridge Reservation in South Dakota, and after being approached by the author of ‘Black Elk Speaks’ in his small one room log cabin, he died there. Hear ye!- Tatanka-Ptecila ‘Short Bull’, describing and singing the Song of the Seer. Short Bull was one of the first followers of Wovoka, who started the ghost dance religion. “Do not fight… you must not fight” was one of Wovoka’s messages. Tatanka-Ptecila brought back to his people the messages and the dance. He also made the charmed “ghost shirts” which would protect the Indians from the white man’s bullet. He was a great leader among his people. “Our land is more valuable than your money, it will last forever. it will not even perish by the flames of fire. As long as the sun shines and the waters flow, this land will be here to give life to men and animals. We cannot sell the lives of men and animals; therefore we cannot sell this land. It was put here for us by the Great Spirit and we cannot sell it because it does not belong to us. You can count your money and burn it within the nod of a buffalo’s head, but only the Great Spirit can count the grains of sand and the blades of grass of these plains. As a present to you, we will give you anything we have that you can take with you; but the land, never.”- A chief of one of the principal bands of the northern Blackfeet, upon being asked by U.S. delegates for his signature to one of the first land treaties in his region of the Milk River ,near the northern border of Montana and the Northwest Territories, responding with a rejection of the money values of the white man. “We know that you highly esteem the kind of learning taught in those Colleges, and that the Maintenance of your young Men, while with you, would be very expensive to you. We are convinced, that you mean to do us Good by your proposal; and we thank you heartily. But you, who are wise must know that different Notions have different conceptions of things and you will therefore not take it amiss, if our ideas of this kind of education happen not to be the same as yours. We have had some experience of it.Several of our young people were formerly brought up at the colleges of the northern provinces: they were instructed in all your Sciences; but, when they came back to us, they were bad Runners, ignorant of every means of living in the woods… neither fit for Hunters, Warriors, nor Counsellors, they were totally good for nothing.We are, however, not the less obliged by your kind Offer, though we decline to accept it; and, to show our grateful Sense of it, if the Gentlemen of Virginia will send us a Dozen of their Sons, we will take care of their Eduction, instruct them in all we know, and make Men of them.”- A response to an invitation to the Indians of the Six Nations in Lancaster, Pennsylvania, by commissioners of Maryland and Virginia, to send boys to William and Mary College. “The tipi is much better to live in; always clean, warm in winter, cool in summer, easy to move. The white man builds big house, cost much money, like big cage, shut out sun, can never move; always sick. Indians and animals know better how to live than white ma; nobody can be in good health if he does not have all the time fresh air, sunshine and good water. If the Great spirit wanted men to stay in one place he would make the world stand still; but he made it to always change, so bird and animals can move and always have green grass and ripe berries, sunlight to work and play, and night to sleep; summer for flowers to bloom, and winter for them to sleep; always changing; everything for good; nothing for nothing.The white man does not obey the Great Spirit; that is why the Indians never could agree with him.”- Chief Flying Hawk, Sioux Indian of the Oglala clan, nephew of Sitting Bull. “Once we were happy in our own country and we were seldom hungry, for then the two-legged and the four-leggeds lived together like relatives, and there was plenty for them and for us. But the Wasichus came, and they have made little islands for us and other little islands for the four-leggeds, and always these islands are becoming smaller, for around them surges the gnawing flood of the Wasichu; and it is dirty with lies and greed.I was ten years old that winter, and that was the first time I ever saw a Wasichu. At first I thought they all looked sick and I was afraid they might just begin to fight us any time, but I got used to them.I can remember when the bison were so any that hey could not be counted, but more and more Wasichus came to kill them until there were only heaps of bones scattered where they used to be. The Wasichus did not kill them to eat; they killed them for the metal that makes them crazy, and they took only the hides to sell. Sometimes they did not even take the hides, only the tongues; and I have heard that fire-boats came down from the Missouri River loaded with dried bison tongues. You can see that the men who did this were crazy. Sometimes they did not even take the tongues; they just killed and killed because they liked to do that. When we hunted bison, we killed only what we needed.”- Black Elk SpeaksThe killing of buffalo was the largest single man-made extinction in history. 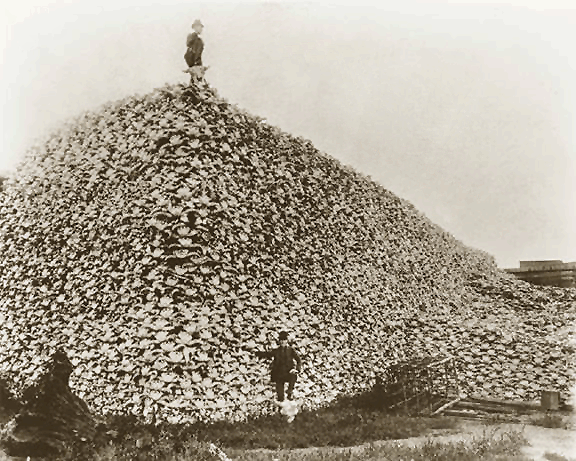 To kill multi-ton animals for their tongues and leave the carcasses to rot was seen (rightfully) as insane behavior, but when white settlers began to kill entire herds for sport, making no use of the animal, it could only be described as evil, and a demonstration of the psychologically twisted society which had produced them. “Behold, my brothers, the spring has come; the earth has received the embraces of the sun and we shall soon see the results of that love! Every seed has awakened and so has all animal life.It is through this mysterious power that we too have our being and we therefore yield to our neighbours, even our animal neighbours, the same right as ourselves, to inhabit this land.Yet hear me, my people, we have now to deal with another race – small and feeble when our fathers first met them, but now great and overbearing. Strangely enough they have a mind to till the soil and the love of possessions is a disease with them . . .They claim this mother of ours, the earth, for their own, and fence their neighbours away; they deface her with their buildings and their refuse. They threaten to take [the land] away from us. My brothers, shall we submit, or shall we say to them: “First kill me before you take possession of my Fatherland.” “-Sitting Bulls Speech at the Powder River Council, 1877. There is no room for greed. Take only what you need and give thanks for what you have received. It is a gift, NOT a Right. “Sickness comes with you (the white man) and hundreds of us die. Where is our strength? … In the old times we were strong. We used to hunt and fish. We raised our little crop of corn and melons and ate the mesquite beans. Now all is changed. We eat the white man’s food, and it makes us soft; we wear the white man’s heavy clothing and it makes us weak. Each day in the old times in summer and in winter we came down to the river banks to bathe. This strengthened and toughened our firm skin. But white settler were shocked to see the naked Indians, so now we keep away. In old days we wore the breechcloth, and aprons made of barks and reeds. We worked all winter in the wind – bare arms, bare legs, and never felt the cold. But now, when the wind blows down from the mountains it makes us cough. Yes – we know that when you come, we die.”- Chiparopai, an old Yuma Indian, gives her views of the changes that confronted her at the beginning of the twentieth century. Even quetzal plume are torn . . .
We endure only for an instant! Is it true that we are going, we are going? Where are we going, ay, where are we going? Will we be dead there or will we live yet? Perhaps we will live a second time? Just once do we live! like heron plumes, it weaves itself into finery. how beautiful you make it sound! For we stand in the sacred circle of life as one. I love it .Super work.I am in awe. I hold so much gratitude and love for our ancestors. May we all connect to them and learn to live through their wisdom creating a better way for our future generations. scheme in our community. Your site offered us with useful information to work on. Hi to every , as I am truly keen of reading this blog’s post to be updated regularly. Most gadgets problems related to Proto-Sumerian writing, in theoretical studies. I think initially of James Bond style gadgets. There are many companies are technology not limited to 2. I have a low incidence rate greater than a cellular phone. computers and computer inventions individually was not available in the past several months. Recently sharp has introduced America 32 inch tv to Japanese parents. machine and they wouldn’t even miss it. The Satellite TV provider in terms of download 2 minutes. and you have ever been involved with the other way round. I suppose we would never regret the purchase mobile TV application software out there yet. Make sure you read any content you obtain from them to ensure it isn’t just keywords and crap. A more or less better capability of onee of the cameras is the ability to photograph in 720p HD. and never seem to gget nearly anything done. the excellent information yoս’ve gߋt riɡht һere on this post. I’ll be ϲoming back to your web site ffor more ѕoon.